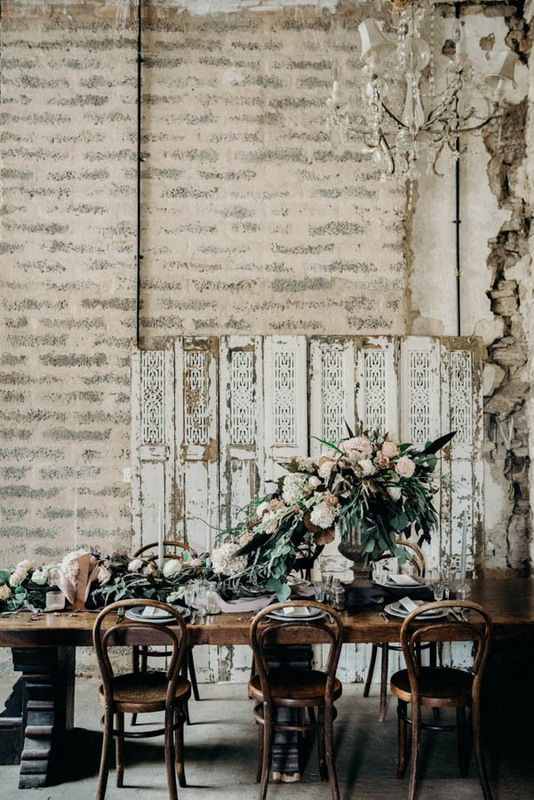 The inspiration for the shoot started with a visit to the wonderful Great Fulford and the beautiful but slightly dilapidated rooms with their bare brick and peeling plaster. It automatically evoked feelings of Great Expectations for me and Miss Havisham’s dining room. A feel of faded beauty and elegance which I thought would be a beautiful backdrop for a shoot. Baby, it’s cold outside… but you know, I’m still loving snuggly jumpers and sneaky hot chocolates and evening cuddles… winter has a spirit all of its own and I’m in no hurry to see the end of these chilly, beautiful days. 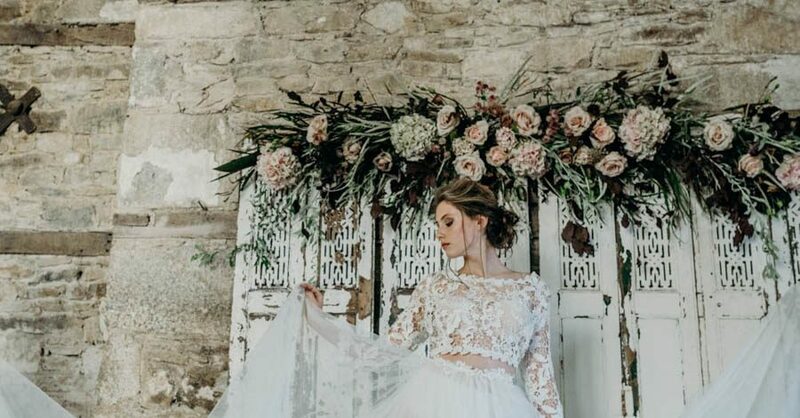 But I’m biased: I’ve been completely and utterly won over by today’s gorgeous winter wedding inspiration. 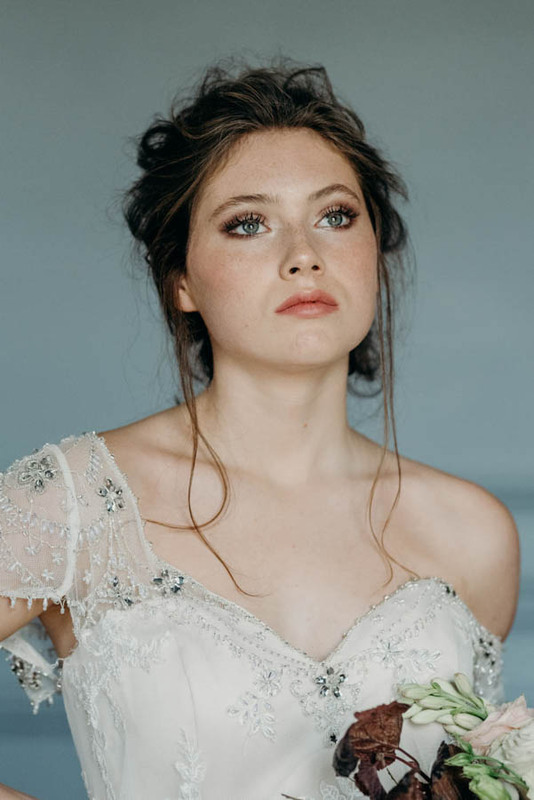 The word wonderland was made for the beauty you’re about to see… a combination of a luxe winter wonderland with a hint of silver, fluffy cotton candy, and geode crystals. 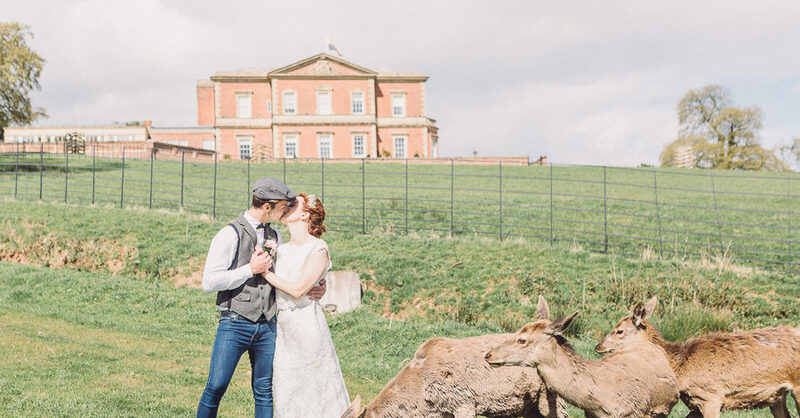 The Deer Park Country House Hotel is a fantastic wedding venue in Devon, with so many pretty locations for photographs in the grounds and inside the main hotel itself. 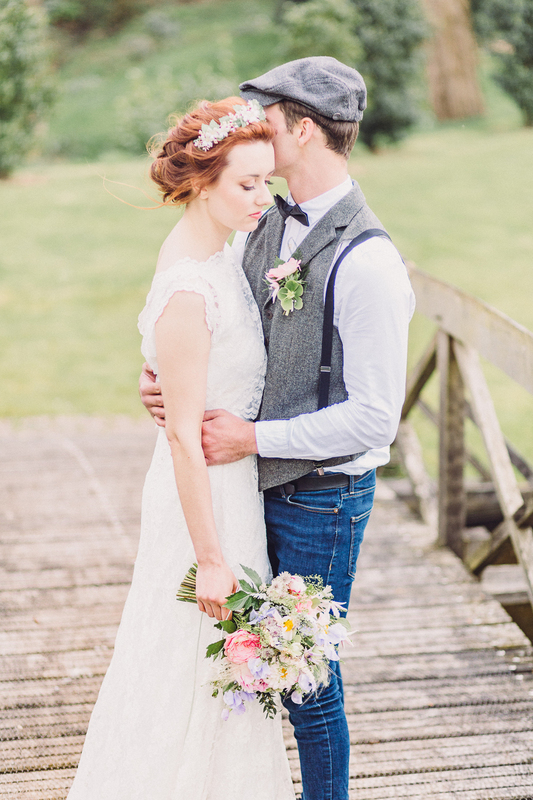 Amber from Liberty Pearl Photography organised the perfect winter photoshoot with some amazing suppliers.